Texas Asks Court To Reinstate Abortion Restrictions : The Two-Way The request follows a district court ruling on Monday that found the state's new law unconstitutional and said it imposed an undue burden on women seeking abortions. Texas Attorney General Greg Abbott delivers comments at the 43rd Annual National Right To Life Convention on Thursday. 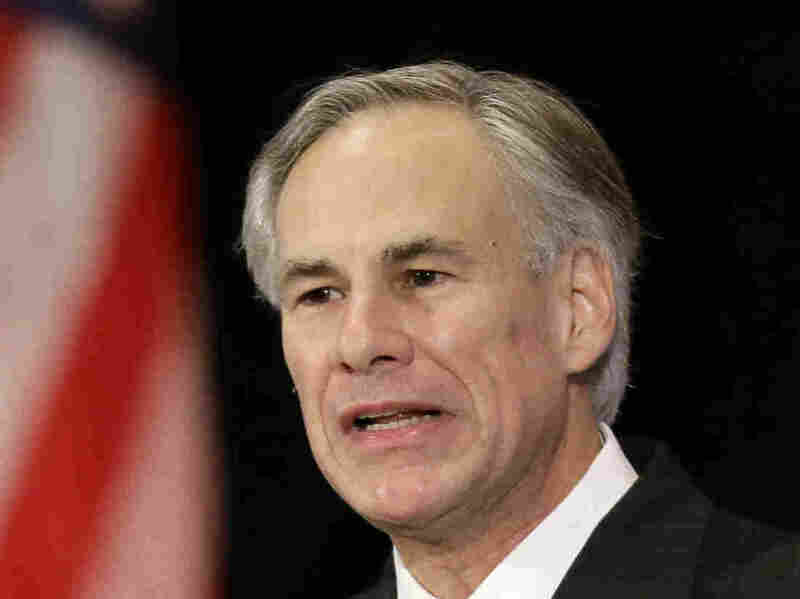 Texas Attorney General Greg Abbott has asked a federal appeals court judge to grant an emergency ruling allowing the state to enforce an anti-abortion law struck down by a lower court on Monday. NPR's Kathy Lohr reports that the state argues that District Judge Lee Yeakel was in error when he ruled that the Texas law — which requires doctors performing abortions to have admitting privileges at a hospital within 30 miles of the clinics they practice in — presents an undue burden on women seeking abortions. Yeakel said the law, which was due to take effect on Tuesday, is unconstitutional. The state is asking the 5th Circuit Court of Appeals in New Orleans, La., to overturn the district court ruling. Lohr says, "Abortion rights activists say 22,000 women will not be able to get an abortion if the law goes into effect." "Courts in Alabama, Mississippi, North Dakota and Wisconsin have blocked similar admitting-privilege requirements as part of the continuing battles over how much states may restrict the right to abortion granted by Roe v. Wade in 1973."